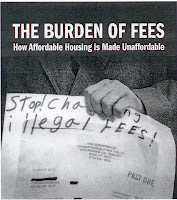 Check out the report from CASA/New Settlement, the Urban Justice Center's Community Development Project, "The Burden of Fees: How Affordable Housing is Made Unaffordable" . On Sept. 24, 2013 in Albany, R3 facilitator Jaron Benjamin and R3 Legis. Committee Co-Chair Michael McKee will be testifying before the Moreland Commission on big developers' donations and their correlation with huge tax breaks for some of those same developers. 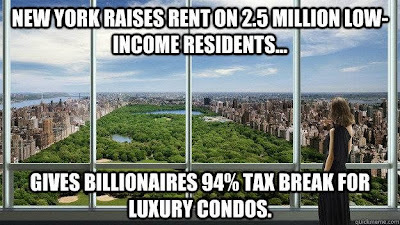 See the Met Council on Housing report, "Tax Breaks for Billionaires." And on Tuesday, Oct. 29, 2013 come testify before the Moreland Commission in Manhattan (probably 5-8 PM, place to be determined) about how big real estate donations in Albany are affecting you as a tenant. Contact Jaron@metcouncilonhousing.org for more information. Public Advocate Candidates at 9/23 R3 Meeting! at Next R3 MeetingMonday, 9/23 | 7pm * 593 Columbus Ave Council Member Letitia James and State Senator Daniel Squadron (or a staff member) will speak about the 421-A tax break scandal, and will take questions. Everyone (regardless of whether you're running for office or not) is invited to the next R3 meeting, where agenda items will include forming new steering & legislative committees, a discussion of R3's impact on the Moreland Commission, and our outreach and base-building plan. Si desea recibir actualizaciones de R3 tales como anuncios de reuniones, protestas y conferencias de prensa, haga clic AQUI. R3 is a coalition of tenants, community groups, legal support,and labor unions. ClickHEREto visit R3 on the web. (593 Col. Ave. at 88th Street) There's a lot on the agenda, including Zeroing in on the legislation we need and how to get it. Reaching out to more tenants & tenant organizationsR3's role in fighting 421a tax breaks for landlordsR3's structure, and creating our new steering committee, and collecting dues (has your group paid for 2013 yet?) Si desea recibir actualizaciones de R3 tales como anuncios de reuniones, protestas y conferencias de prensa, haga clic AQUI. 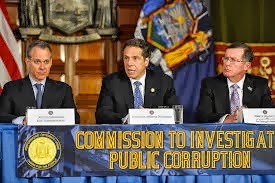 With no limits in practice on political contributions, big money has been ruling Albany - and restricting good tenant legislation. See Met Council's Tax Breaks for Billionaires and the recent NY Newsday article, "Critics: No Limits on Companies' Political Donations, Despite Law." Testify before the New York State Moreland Commission. Register to testify, and read Met Council on Housing's report on tax breaks for billionairesand NY Newsday's articlefor the facts.